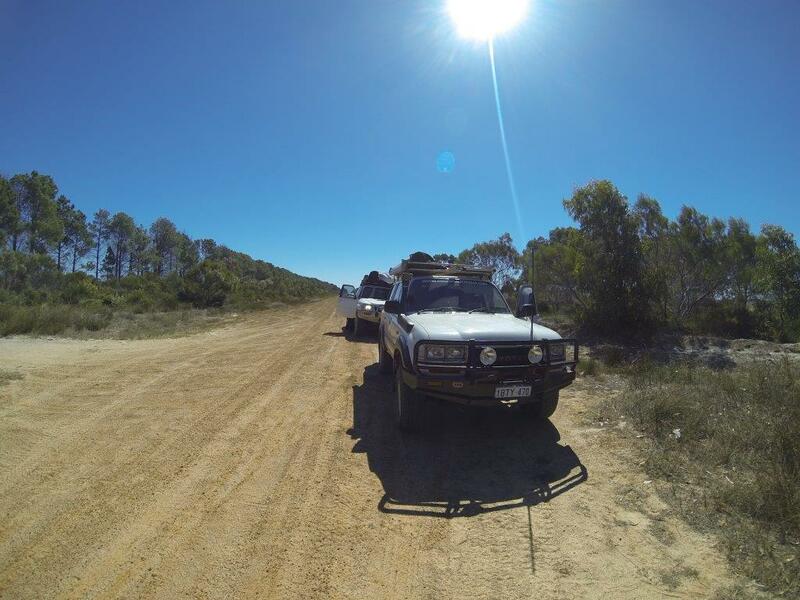 Fisheries road is an access track from Esperance to Condingup, Poison Creek and Israelite Bay. It goes past a number of farms, and Condingup Tavern. The first 70km are bitumen (directly from Esperance) and take you to Condingup tavern, where you can buy excellent food, have a beer and fill up for one last time before heading east. From there, the road continues as bitumen for some 30 odd kilometers, where it changes to gravel for the remaining 30km. From there, it is 4WD only and the track is not for the inexperienced. Even in the dry there were big ruts, some of the worst corrugations I’ve ever seen and a couple of salt lakes to be vary wary of. 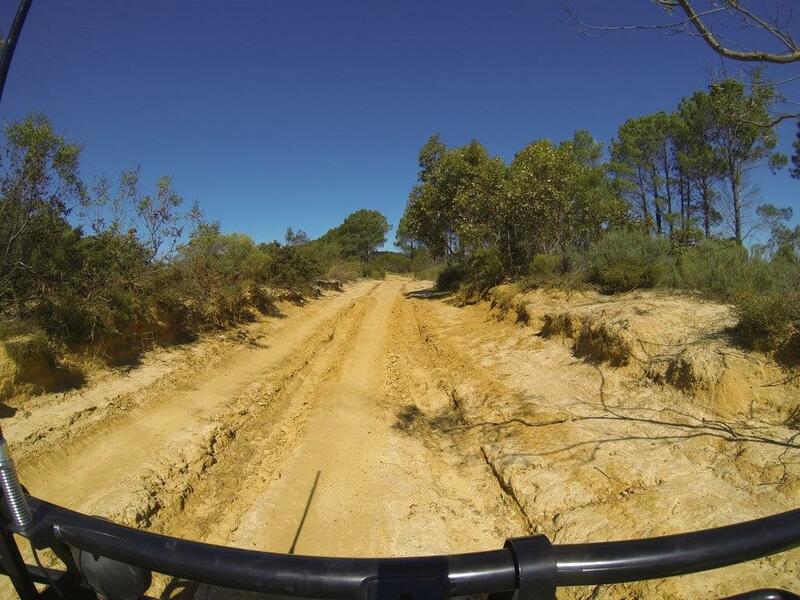 The 4WD section of the road is often closed after bad weather, and it is quite obvious why. Tracks have been made around the worse bog holes, but I would estimate over 50 sections that would see you very bogged without the right line and tyres! We only saw a couple of wet sections but I imagine after a lot of rain there would be puddle after puddle. The biggest issue with the water though is the fact that it sits on clay, making traction almost non existent. Make sure when you cross the salt lake that you stick to the main track (furthest north) or you have the potential to sink and get extremely bogged! If you want to see more epic mistakes, check this out – 4WDing; when it all goes wrong. Fisheries road changes considerably as you drive along it. 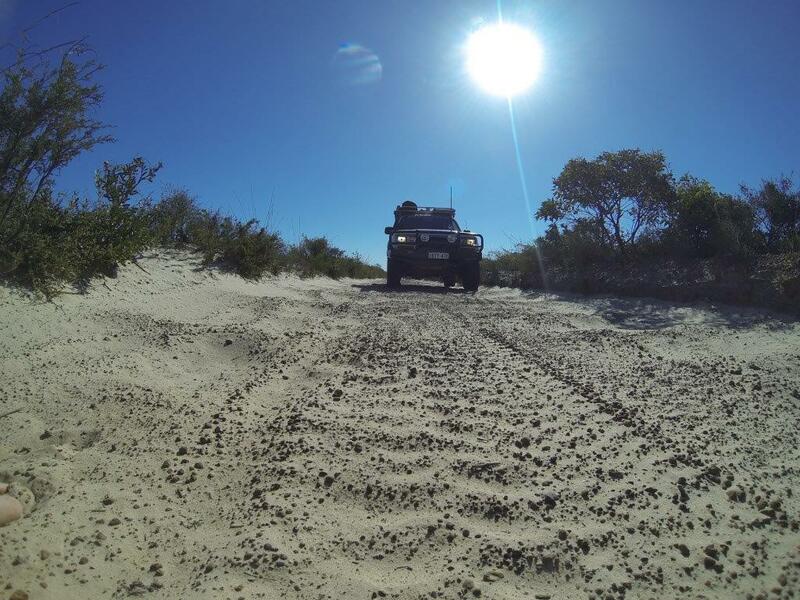 One minute you are doing 5km/h navigating big ruts, and the next you are doing 40km/h over heavy corrugations or sandy patches. The plants and trees change considerably as you drive along the track, and there aren’t too many places to pull off the track should you meet another vehicle. The 4WD section of Fisheries Road (around 65km long) takes at least 2 hours. In some sections you can cruise along safely at around 40km/h but we very rarely got above that. The track is just too windy with too many places that you need to stop to go over slowly. I would say we averaged around 30 – 35km/h, which makes it quite a long drive. The scenery changes immensely along the way, and is interesting to look at! 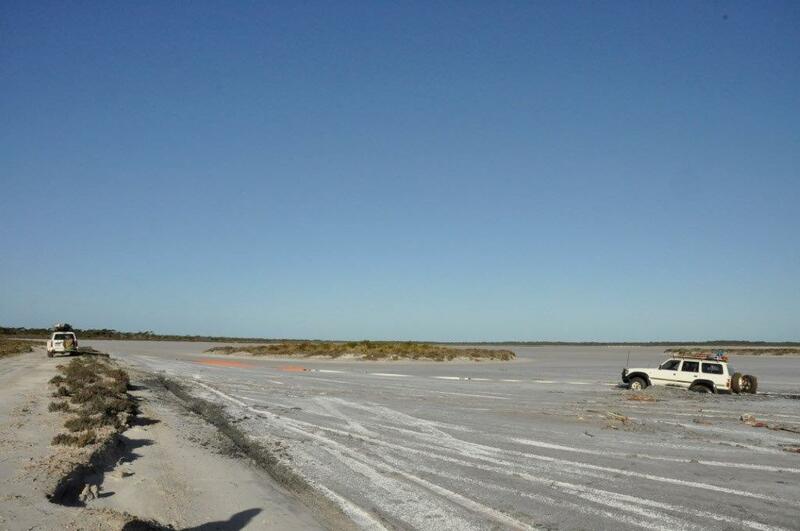 If you get bogged in one of the salt lakes, expect to be there a while! Can I do it in a softroader? In the dry, you could do this track in a softroader. However, if the track is even remotely wet, I’d give it a miss. It is just too remote for anything to go wrong! When is the track closed? The 4WD section of the track is managed by the DPAW (or DEC). After heavy rainfall, the track is closed to avoid unnecessary wear and to stop people getting bogged in the middle of nowhere! 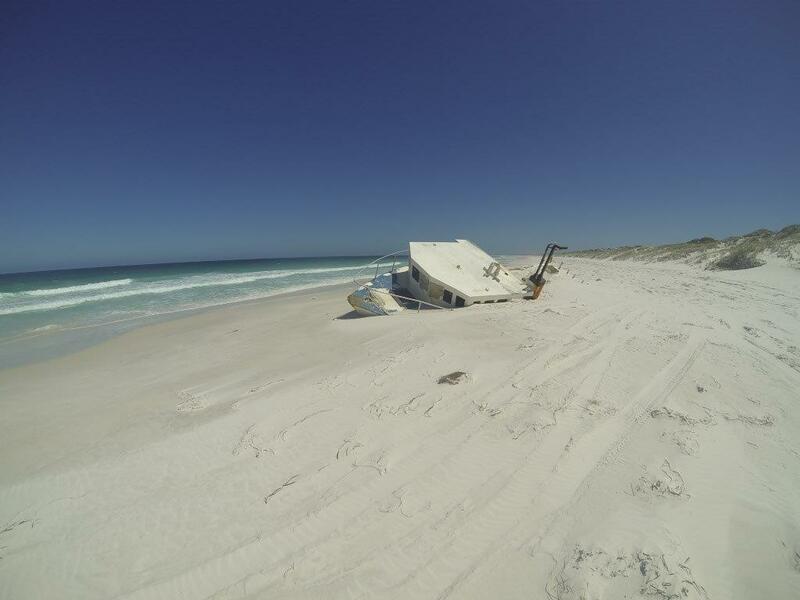 You can ring the rangers at Esperance and ask for an update on the track when ever you need. 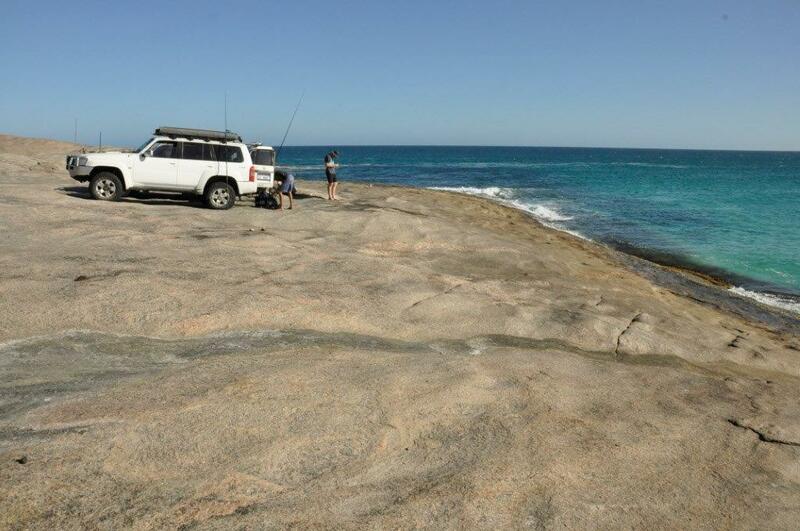 Fisheries road is used primarily to access Israelite Bay, a well-known fishing mecca that is very isolated. You have to be completely self sufficient, which means fuel, food, cooking equipment, water and camping equipment. The bay itself lacks the incredible views that the rest of Esperance has, but there is a huge point with plenty of places to fish, drive on the beach (and the rocks) and dive. It’s also miles away from anywhere, meaning you have a lot of privacy! The Telegraph track also runs the majority of the length of Fisheries Road, and meanders its way along the coastline. You have to combine it with Merivale road, which is quick on some sections and slow over the corrugations and huge ruts. We did both tracks, and enjoyed them equally. The telegraph track seems to have better scenery though! This will take you past Point Malcolm, which is another popular fishing and camping location. Which ever way you pick, Israelite Bay is the final destination. I didn’t know about this track, but it sounds brilliant! I’ll have to get it on the must do list next time I get down there. We found out about it because we wanted to visit Israelite Bay. It was a fun track, until I got seriously bogged in the salt lake. Fun times!